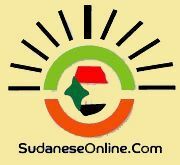 Khartoum, Nov. 10 (SUNA)- The committee for identity of the National Dialogue Conference, chaired by Prof. Ali Osman Mohamed Salih, Tuesday celebrated at the Friendship Hall expiry of one month since the start of the National Dialogue Conference. Prof. Salih said that the identity committee has discussed the moth period 35 papers, 33 of them were partisan papers and two were national. He said that the committee members have deliberated freely on the contents of these papers. He said that the committee recommended that the name of Sudan is the single one that describes the Sudanese identity and approved the description of Sudan Constitution of 2005 to the identity of the Sudanese State. Prof. Salih said that the conferees called for establishment of a Commission for the Identity Affairs and support to the Council for Development of National Languages which is to be transferred into an executive body.